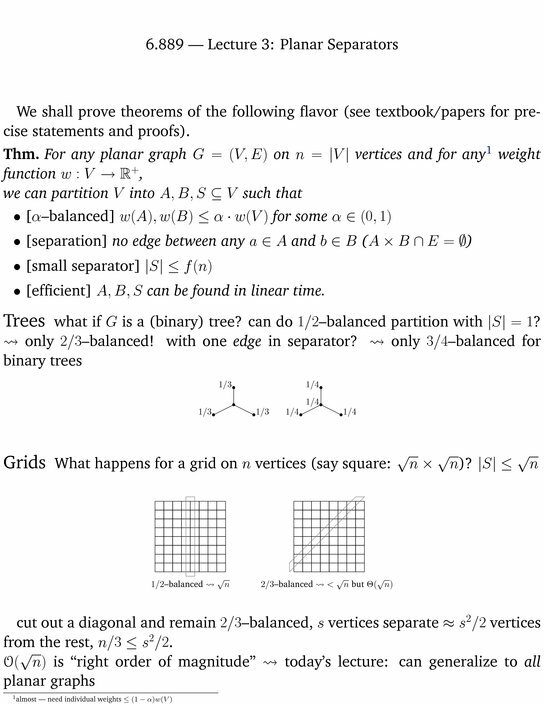 [+] Planar separators: Lipton-Tarjan and Miller's separators, r-divisions. Many efficient algorithms for planar graphs make use of «small separators»: small cuts that partition the graph into roughly balanced pieces. Such separators often allow us to apply a divide-and-conquer paradigm, recursively separating the graph to end up with small pieces with even smaller boundaries. These and related techniques are used in many algorithms we'll be presenting throughout the course. 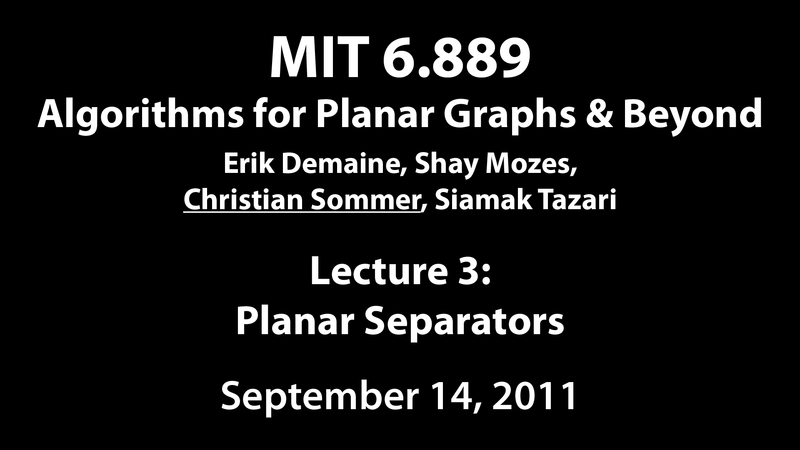 In this lecture, we discuss linear-time algorithms for planar graphs that find a small (O(√n)) subset of the nodes whose removal partitions the graph into disjoint subgraphs of size at most 3n/4. Based on interdigitating trees from Lecture 2, we first devise fundamental-cycle separators. We then show how to reduce the length of these cycles (1) by cutting the graph into pieces with smaller diameter and, if time permits, (2) by merging faces.